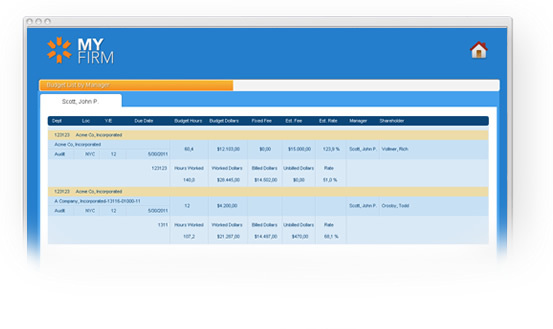 Fully integrated web application that makes engagement pricing simple and more effective. 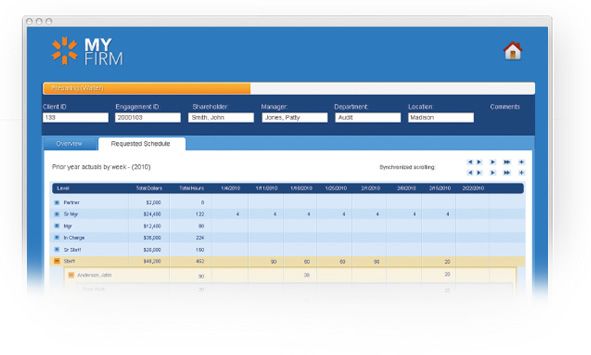 Integrates seamlessly with existing Time and Billing, HR, Scheduling, and other systems. 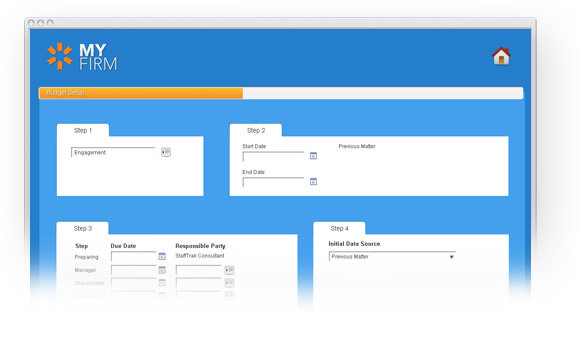 Allows you to budget using prior year results or using standardized templates. Stores results for comparison to next yearly period. Budget by Department, Level, Individual Staff and Task. Get instant feedback on profitability. 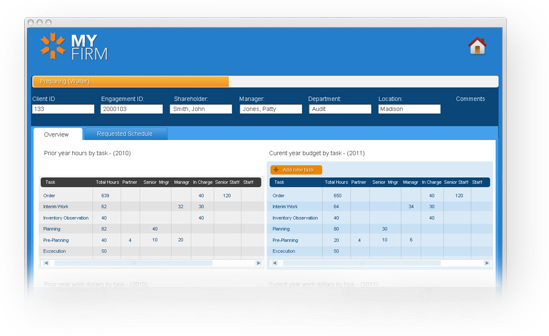 Utilize alerts and audit features to streamline the budget process. Can be set to automatically populate scheduling system. Full reporting capabilities to your specifications. Can generate and store user notes. Daily reporting matches budgets to expended hours and scheduled hours, allowing the firm to PROACTIVELY address issues (over budget, out of scope work).